All on 4 Implants by Bangkok Smile Dental Clinic. "Did you ever dream that you could visit our lovely country and have a whole brand new beautiful shiny smile? " All on 4? implant is a new protocol that allows you to leave our office with whole permanent fixed teeth This is a custom-designed , perfect-for-you smile. The All-on-4™ clinical solution has been developed to maximize the use of available bone and to allow for Immediate Function™. Individual Procera® Crowns in Alumina or Zirconia cemented to a Procera®Implant Bridge framework for excellent esthetics and strength. Is this treatment available in many dental clinics? NO. This "immediate loading" of dental implants with All on 4 concept is a relatively advanced concept in dental care. Only some clinics around the world can do this service, as they require very experienced dental specialists and dental lab technicians , who have advanced training in implant dentistry, immediate implant placement and implant prosthodontics. To be accomplished, it requires skilled experienced professionals who work with each individual's highly customized treatment plan. The equipment is technologically sophisticated, the materials are intricate and valuable, and all of this is subject to meticulous sterile detail. Providing our patients with immediate function is really NOT new for Bangkok Smile Dental Clinic. Convinced that proper placement of the implants and meticulous engineering of the prosthesis could allow our patients to smile and chew while they healed. 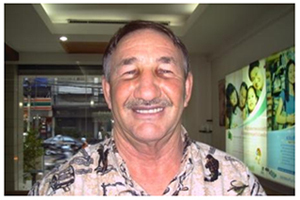 In the space of 3 days after implant surgery, all Bangkok Smile clients had a beautiful new smile! Dental implant treatment by its very nature is a big investment. To be accomplished, it requires skilled experienced professionals who work with each individual's highly customized treatment plan. The equipment is technologically sophisticated, the materials are intricate and valuable, and all of this is subject to meticulous sterile detail. Still, All on 4 can be less costly than more traditional dental implant treatment. This is because it significantly reduces the time commitment for both the patient and the doctor. Most patients who prioritize their smile and opt for dental implant treatment regard the cost as a worthwhile lifetime investment. Unlike the rest of the human body, the virtual "youth" of the mouth can be preserved right up through the age of one hundred. The concept of eating well for all of one's lifetime while sporting a timeless smile spurs many to "bite" from the Fountain of Youth. “Let me first say that the staff is very efficient, friendly and helpful. My teeth right now feel a lot more comfortable and it has only been TOTALLY 6 days from my poor old natural teeth to very strong teeth with new ALL on 4 implants!! He had serious gum problem. He visited his gum dentist many times for various kind of special gum treatments. He paid a lot to keep them. Unluckily, his teeth were still weak, and he was devastated and fell into depression. 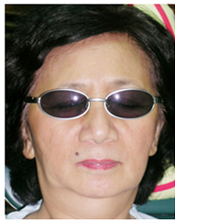 The turning point came when he had All on 4 immediate dental implants installed. Full fixed strong permanent teeth were fitted in both his jaws in only 3 days after the implant inserted. He was overwhelmed by the result.